New Price! 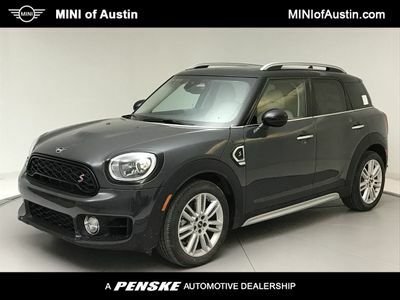 Thunder Gray Metallic 2019 MINI Cooper S Countryman FWD 8-Speed Automatic 2.0L I4 DOHC 16V Active Driving Assistant, Auto-Dimming Interior & Exterior Mirrors, Automatic Climate Control, Chrome Line Exterior, Comfort Access Keyless Entry, Connected Media System w/6.5" Touchscreen, Dynamic Damper Control, harman/kardon? Logic 7? 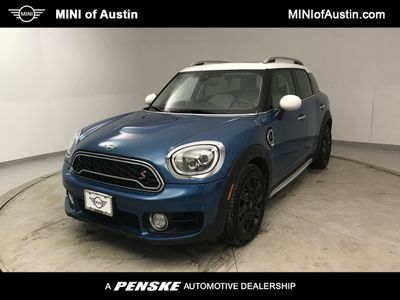 Digital Surround, Heated Front Seats, JCW Leather Steering Wheel, LED Fog Lights, LED Headlights w/Cornering Lights, MINI Assist eCall, MINI Driving Modes, MINI TeleServices, Panoramic Moonroof, Piano Black Interior Surface, Power Front Seats, Power-Folding Mirrors, Premium Package, Signature Trim, SiriusXM Satellite Radio.